If you also write in italian, feel free to create and edit new wiki pages in this language, just check our starting point, the Italiano index page. If you want to collaborate in another non-english language, you can choose an existent one or include a new one in the Languages page. The article was created by @paolobeneforti, a fellow that already made a donation to our project and now became our new participant this month. Now, following our proposed rules, he is enabled to share the amount of STEEM collected here this month. Thanks a lot, molte grazie! Today our wallet has the amount of 236.916 STEEM, thanks to a lot of donations received few days ago. Plus 1.000 SBD donation received from @kus-knee who thrown his bone to our comment and now are being converted to STEEM as proposed in our Rules. Thank you very much! All the sum collected in May would be shared among this month's participants. Check the transfers we already did in April, March, February and January. If you liked the idea, check our project's introduction and proposed rules and join us if you're interested. 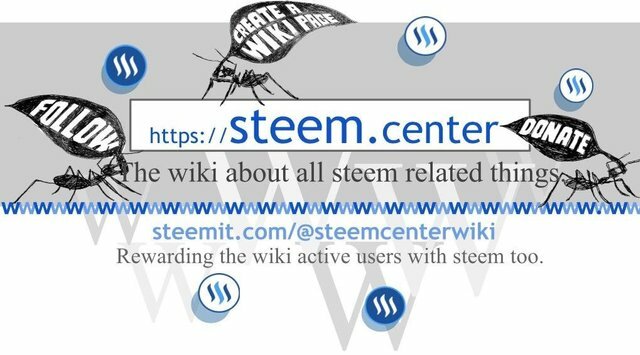 We still have a few days until the end of this month, if you want to be in the next distribution list to earn a share of the STEEM collected here pumped by the donations, please follow us @steemcenterwiki, register in Steem.center with your Steemit username. Then start collaborating! You can find some suggestions to start new pages in Articles for Creation or choose one existent wiki page to update in the List of All Pages. If need help you use the MediaWiki tutorial as a guide to create and edit pages in Steem.center wiki, wich works with MediaWiki, the same code of Wikipedia or ask for a personal response in Steemit.chat #wiki channel. You can also support the project with donations, just transfer any STEEM value to @steemcenterwiki. Or follow us, upvote, reply or resteem this post. Sei il più forte Paolo che conosco! I add something that was not in the original article. For example, the fact that Steem Power constitute the voting power of each user. Stupendo! Thanks and good luck again! 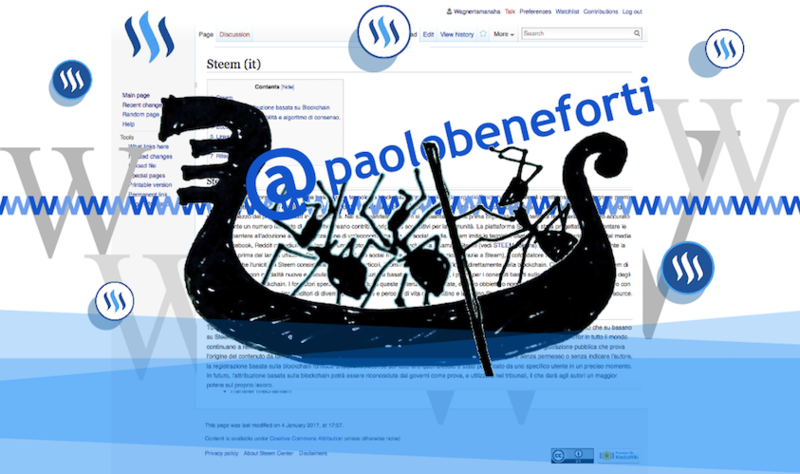 Thank you very much and welcome to the group of Steem.center collaborators! Grazie, thanks and good luck again! Grazie a voi! Thank you! New entries translated for Italians coming soon!